Sometimes, last minute trips are literally the best ones. There's no time to have an anxiety attack over the details. Just throw a bunch of stuff in a suitcase (Mostly black tights, skirts, sweaters, and boots because hey, it's New York and all the natives are rocking darker palettes 24/7.) and go. Yea, I had the chance to motor to NYC and stay at The Palace, which all my fellow fans of Serena, Chuck, Lily, Blair, and Nate know is really 'the Gossip Girl hotel'. A few snaps of the Christmas tree in that famous courtyard are a must, whether you're staying at the hotel or not! While I was creeping around the building late last night, trying to get pics of my own (before we dropped into the bar with the doggie paw print napkins - aka, Trouble's Trust - for another round), I spied at least two couples trying to get snaps of the tree (big bragging rights) and the rest of the surrounding real estate. 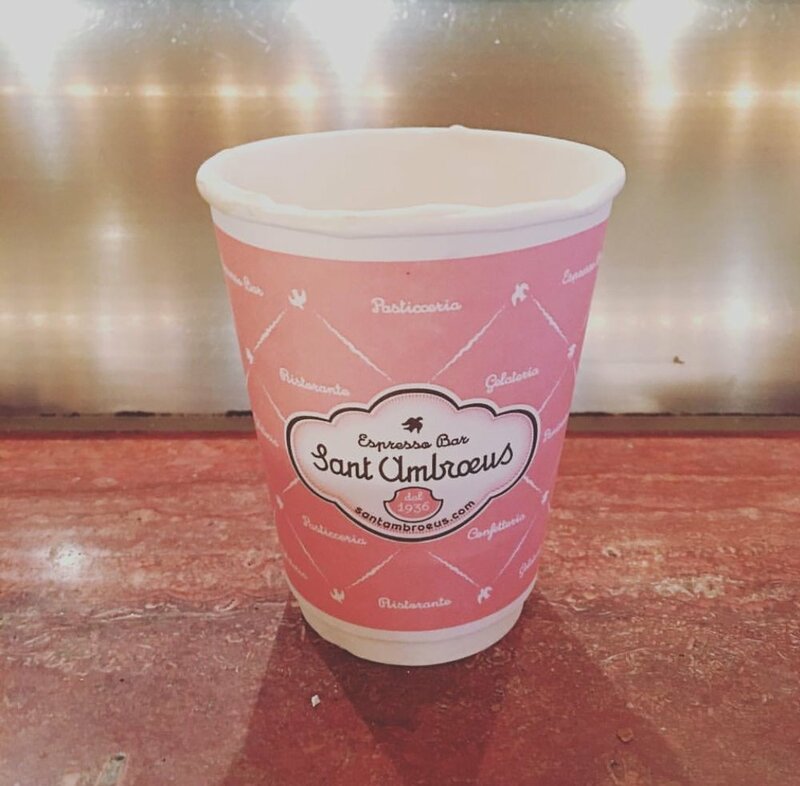 Of course, this wouldn't be a PattyJ.com post without a coffee mention. 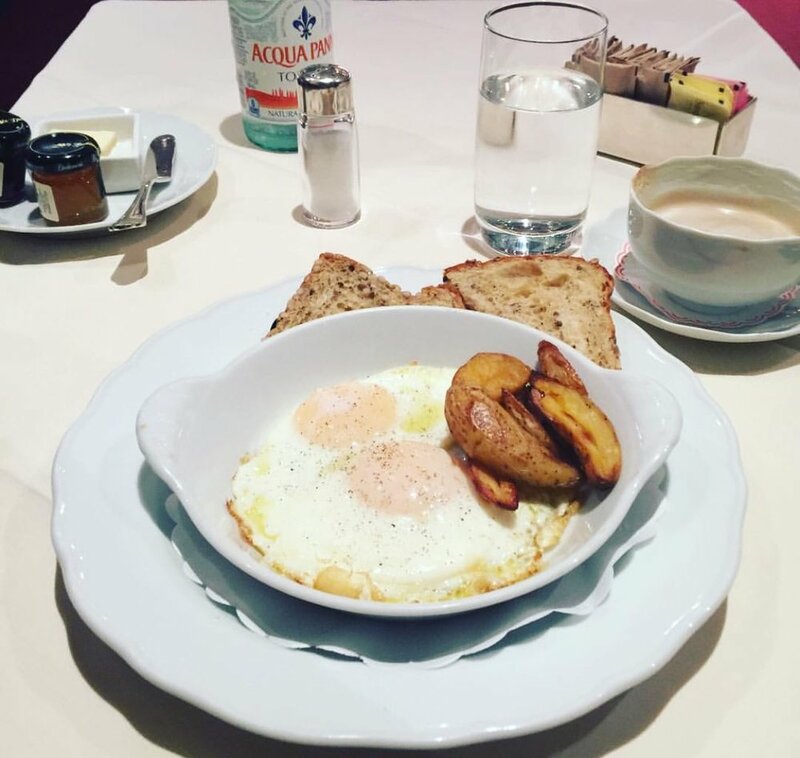 And the Gossip Girl tie-in is (hands down) Sant Ambroeus on Madison, a hop, skip, and jump down the street from The Palace, for coffee, hot chocolate, cookies, or breakfast/brunch. Kelly Rutherford, aka, Lily Vanderwoodsen, is a regular. You might catch a glimpse of her or Lenny (Kravitz) or another equally SUPER famous celeb while there. For even more Gossip Girl-related spots in the city, take the O-fficial GG Tour, which covers a lot of ground showcased in the series, including the place where everyone (except Serena) took the SAT's, the steps at the NY Public Library where Blair used to hold court, and so MUCH more. 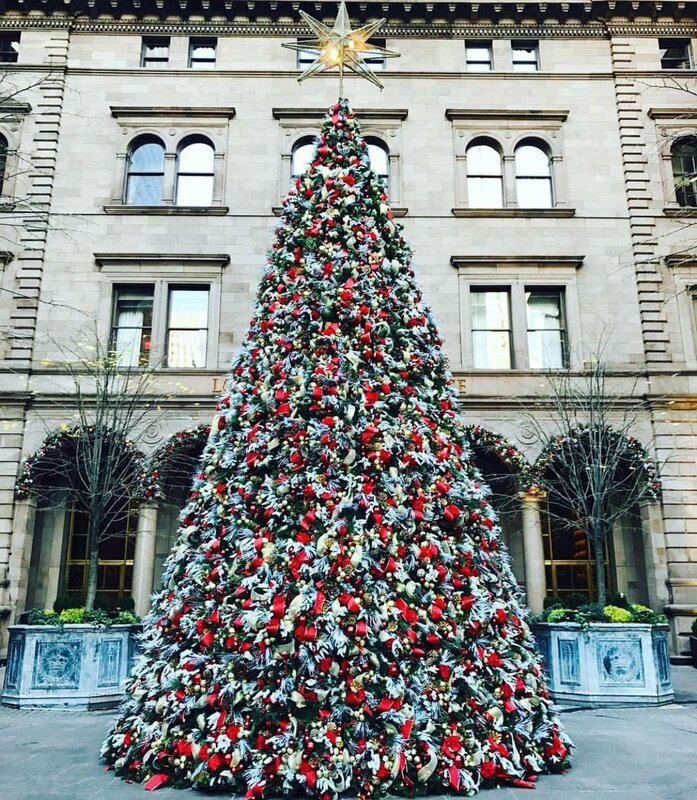 Photo Credits: Daytime photos of the (outdoor) tree at The Palace courtesy of their Instagram; photos of Kelly Rutherford and Blake Lively and the Sant Ambroeus coffee cup courtesy of her Insta; Photos of Ed Westwick are all courtesy of his Insta; all other photos by PattyJ.com.